Best Wind Direction: WNW to SW. Swell Direction Range: NE to E.
Surfable Break Size: Knee plus. Bottom Type: Sand and some gravel. Comments: A decent beach break that holds up well to large surf (can get really good winter E swells: the paddle out can be quite tough). Pluses: close to Boston and night time surfing! The Red Parrot Inn has a light that points toward the ocean and is powerful enough to get some visibility. Hazards: The paddle out can be a challenge. Directions: Directions for 1 Hull Shore Drive, in Hull, MA from Mapquest will get you right there. Parking: Free parking right in front of the beach (can get a little crowded in the summer). Skill Level: For experienced surfers. Best Wind Direction: WSW to SSW. Swell Direction Range: ENE to ESE. Surfable Break Size: Waist plus. Comments: Not to far from Boston, this is a long right hander and short left hander. When chest or less it is an extremely mellow break more suitable for long boarding. Even at larger sizes it can be quite mushy. It always looks better from the beach. Hazards: The rock bottom. Can get crowded. Localism: Minimal, and only when crowded. Parking: There is a parking lot in front of the beach but its for residents only, the break is on the left side of the beach. Skill Level: For experienced surfers due to tendency to for rip currents. Best Swell Direction: E and big NE. Best Wind Direction: N to SSW. Best Tide: Low to mid tide, outgoing. Swell Direction Range: NNE to ESE. 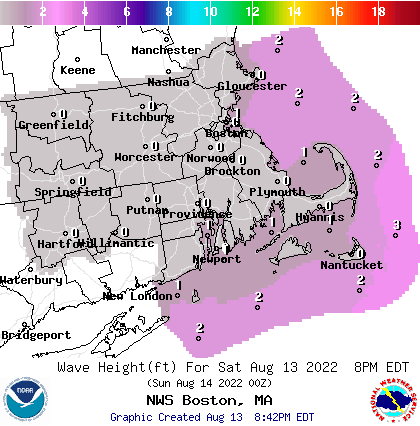 Comments: This spot is notable mostly because Green Harbor point offers some shelter from NE winds during Noreasters. Hazards: The rock jetties, currents. Parking: There is a small parking lot on Beach St.